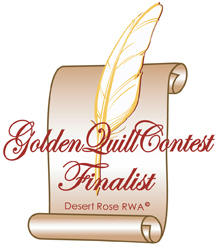 Marilyn won RWA’s prestigious Golden Heart Award for Best Novel with Strong Romantic Elements (According to Jane, 2007). 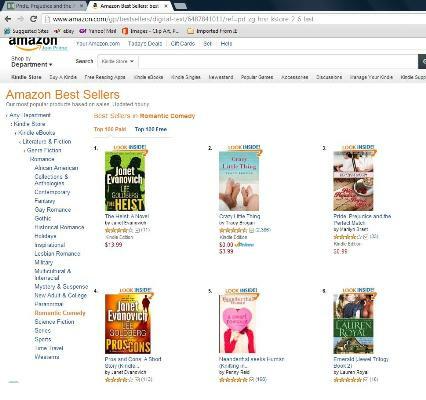 A Top 100 Bestselling Book on both Amazon *and* B&N, as well as a “Romantic Comedy” bestseller! 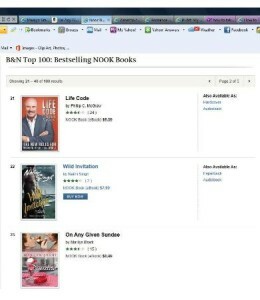 A Barnes & Noble and Amazon Top 100 Bestselling Book!! 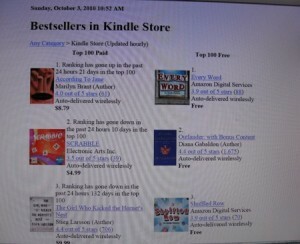 I was thrilled to find out that ACCORDING TO JANE hit #1 on Amazon Kindle’s Top 100 Paid Bestseller List — very exciting! It was also given the tremendous honor of being included on Buzzle.com’s list of the 100 Best Romance Novels of All Time! 2009 and 2010 brought in some AWESOME reviews, and my debut novel even made it onto Pop Syndicate’s “Best of 2009: Books” — thanks to reviewer Margay Leah Justice :-). It was mentioned on Library Journal’s list of debut novels in their article “Falling Into Bounty”! They used these words to describe the offerings this fall: “Poignant. Imaginative. Passionate. Original.” I was delighted mine was included on their list. It won the GDRWA’s Booksellers’ Best Award for “Best Single Title,” which was thrilling! It won the Heart of Denver’s 2010 Aspen Gold Reader’s Choice Award for “Best Single Title”! A Winner of the 2009 Single Titles Reviewers’ Choice Award!! 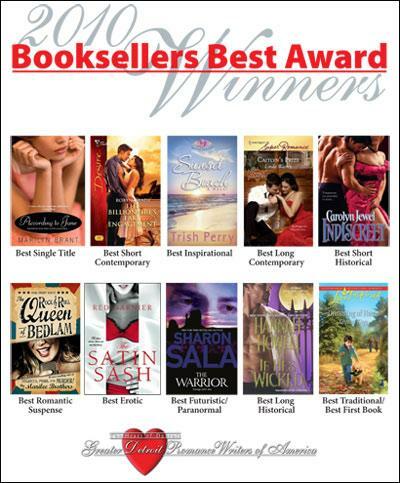 A Double Finalist in the Booksellers’ Best Awards (2010) for both “Best First Book” and “Best Single Title/Mainstream Novel” — yay!! 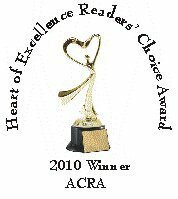 A Finalist in ACRA’s Heart of Excellence Readers’ Choice Awards (2010) in the “Strong Romantic Elements” category. A Finalist in the Golden Quill Awards (2010) for “Best First Book,” too. Check out the others I’ve showcased below and, also, the great reader comments in the right sidebar! 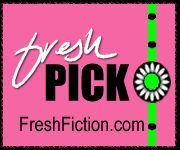 A “Fresh Pick” from Fresh Fiction!! 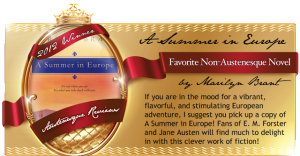 And a reprint of Laurel Ann’s wonderful 5 Star review is posted in The Jane Austen Centre’s online magazine! 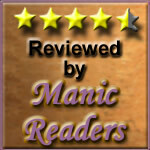 A 4 Cup rating from Coffee Time Romance!